SHHHHHH can you keep a secret?! 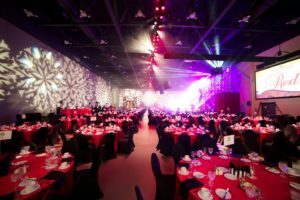 As we head into the holiday event planning season here in Calgary, I decided to pull a page out of my little black book and talk about one of my secret weapons in my event tool box – event lighting. While you may never really noticed it, until it’s really done well – lighting has been and continues to be one of those layered touches. I have used it to elevate many of the events I’ve planned. In Calgary, hands down my favourite lighting provider is Orange Frog Productions. I asked the wildly talented and creative Pierre Marleau if he would contribute to this week’s blog as he has taken my events from beautiful to wow – simply with the use of light! Q – How many events do you work on a year? A – We work on 150 to 200 different events a year. Q – For those planners who are new to working with a lighting designer, what type of budgets do you work within? A – We work within budgets that range from $2500 TO $100K (for lighting). Q – What three things do you think every event should incorporate in terms of lighting? 3) Making lighting an active part of the decor concept and budget. Q – Could you share three upcoming trends? 3) Incorporate pastel color, like blush or off white. 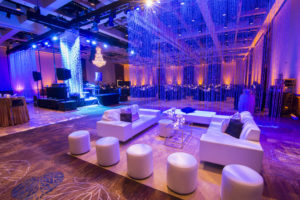 Q – What are three of the most cost effective things you can do at your next event to elevate the look and feel with lighting? 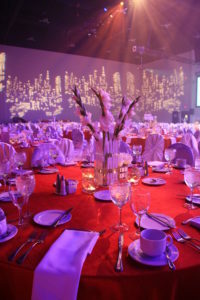 To learn more about event lighting you can reach Pierre and his talented team at www.orangefrogproductions.ca!